Some additional notes on our prior discussion of Bill Gates’ type are in order. In terms of behaviorism and trait theory there is a strong case to be made for Bill Gates as a low scorer on the extroversion scale. People watch interviews with Bill Gates, pick up on his behaviorally introverted mannerisms and then conclude that he is an introvert. But there is a problem with this methodology: Jung was not a behaviorist and Jungian typology is not behaviorism. The schism between Jungian typology and behaviorism is central to the perennial dispute of world views and one that harks all the way back to Plato and Aristotle. Platonism is the approach of Jungian typology; Aristotelianism is the approach of behaviorism and trait theory. Jung is the Platonist, stating squarely that in his opinion Plato “is one of those who have come closest to the truth” as well characterizing the thinking of Aristotle as a “lifeless desert.” Instead of relying on behaviorism (as an Aristotelian would do), a Jungian / Platonic view of introversion attempts to trace the person’s inner cognitive processes, the so-called cognitive functions. As Jung himself observed, the theory of cognitive functions is, at heart, incompatible with the inductive method on which behaviorism ultimately relies. Some of the people who have posited Bill Gates to be an introvert with regards to Jungian typology are probably just completely unaware of these diverging definitions of introversion. So it is understandable that they might think that Bill Gates is an introvert. Recall that in the Jungian sense what it means to be an extrovert is that one’s dominant function is extroverted. There is no behavioral aspect to this definition; one can be a Jungian extrovert even if one is shy or chooses to work and live in isolation. Conversely, one can be a Jungian introvert even if one is socially confident or assertive or has a lifestyle in which one interacts with a wealth of people. When determining Jungian type, the issue is whether one’s cognition is objectively oriented or subjectively oriented. So with Gates, we should ask: Is he primarily concerned with the object, or is he primarily concerned with bringing his own ideas to work on the object? Don’t get us wrong: We would love to get rid of this awkward duality, or not have to defend it from novices and people with a behavioral approach to Jungian typology. We just simply do not see that Gates can be said, in any meaningful way, to be guided by a psychic disposition where he primarily seeks to bring his own ideas to the object along a narrow and deep avenue (as opposed to a broad and pragmatic one). Before the publication of Walter Isaacson’s monumental Steve Jobs (2011), which also deals a lot with Bill Gates, we did a lot of research on Bill Gates. And Isaacson’s extensive research has only confirmed our own findings. In the years when he was active in software, Bill Gates effortlessly reduced everything to objective, commonsensical parameters, which was really the secret behind his success. Because he harbored no subjective or irrational aspirations which he wanted to bring to bear upon the object, but thought along existing lines and principles, he largely avoided the spectacular flops that marred designers such as Paul Allen or Steve Jobs. This, in a nutshell, is why we beg to differ from Keirsey’s assessment of Gates as INTJ. Now much to our surprise, we recently learned that a lot of people still consider Bill Gates to be INTP, a relatively recent claim which seems to have originated with a popular video. It seems that even though every argument hitherto presented for Bill Gates being INTP can easily be refuted, or shown to be factually false, the assessment still holds sway over some. Very well, we say – the claim may even turn out to be true. But its adherents have yet to present a reasonable case. Things like Bill Gates would be quick to point out flaws in solutions, ideas etc can equally be said of how an entj would run a company or intp (although it might get more personal with an intp). Lack of eye contact. Could be intp, istj…. Etc. 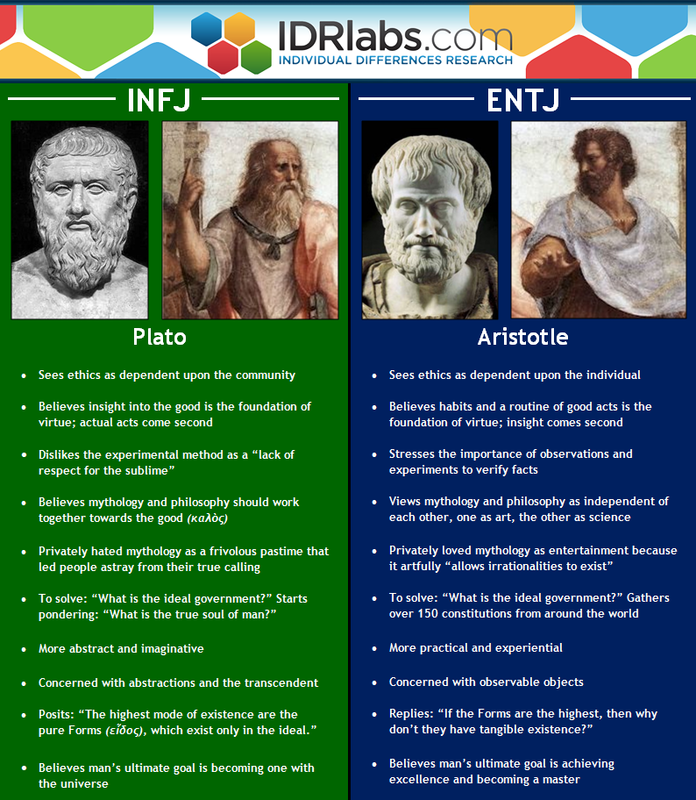 Which things are for sure entj not intp. What about istj or estj?